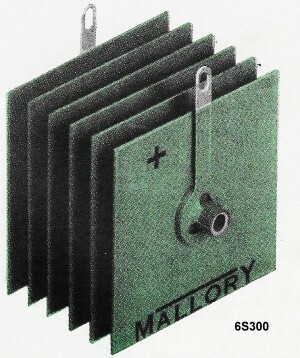 Did you know that Mallory, the well-known capacitor maker, at one time was at the forefront of solid state rectifier diodes? 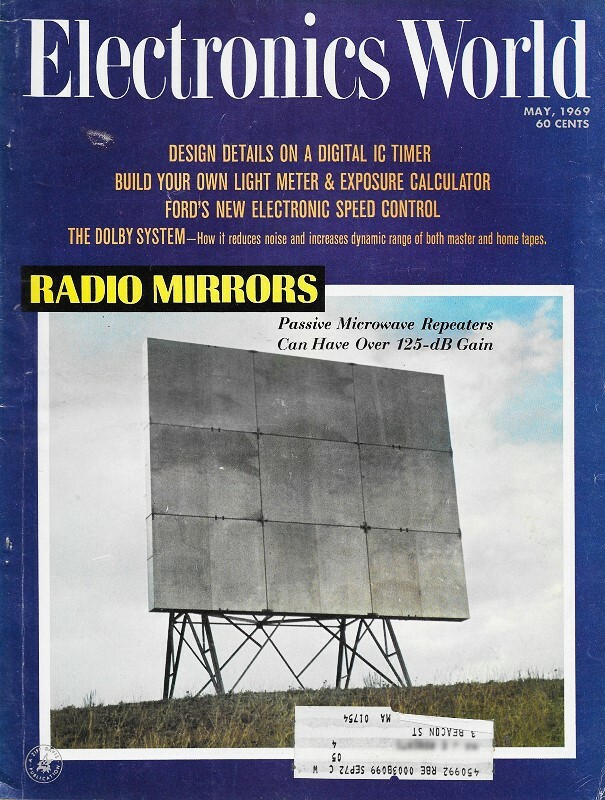 Not me, at least before seeing this infomercial from a 1969 Electronics World magazine. I know that they made selenium rectifiers that replaced many applications which formerly required vacuum tubes. This installation of Mallory's "Tips for Technicians" is one of many run for the benefit of service shop guys who needed to keep abreast of changes in technology. Note the admonition at the end: "Don't forget to ask 'em - 'What else needs fixing?'" Look what's happened to the size of rectifiers. Way back in the '50s nearly every TV set had a 5U4G rectifier tube in the power supply circuit. Large and cumbersome. Rated for 600 VAC PRV at 300 ma. It sometimes took two of them to keep a set running properly. The 5U4G gave off large amounts of filament heat causing many a burned finger. It was 4 1/2 inches tall. And 1 1/2 inches fat. Then the selenium rectifier was rediscovered. The 6S300 was cool and compact compared to the 5U4G. It could be tucked away underneath the chassis. And on occasion, these selenium rectifiers could be found wired up in a voltage doubler configuration without a power transformer. The 6S300 was rated for 117 VAC PRV at 300 ma. And was 1 3/4 inches square. 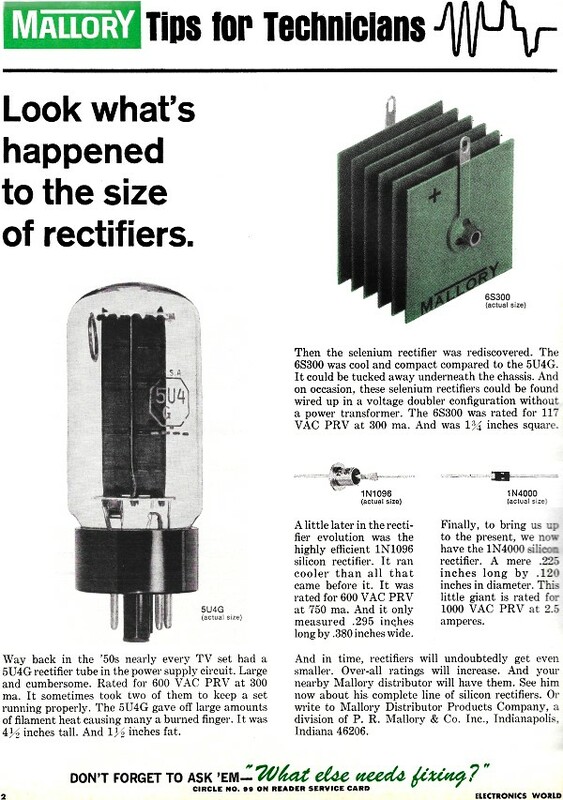 A little later in the rectifier evolution was the highly efficient 1N1096 silicon rectifier. It ran cooler than all that came before it. It was rated for 600 VAC PRV at 750 ma. And it only measured 0.295 inches long by 0.380 inches wide. 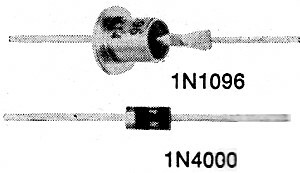 Finally, to bring us up to the present, we now have the 1N4000 silicon rectifier. A mere 0.225 inches long by 0.120 inches in diameter. This little giant is rated for 1000 VAC PRV at 2.5 amperes. And in time, rectifiers will undoubtedly get even smaller. Over-all ratings will increase. And your nearby Mallory distributor will have them. See him now about his, complete line of silicon rectifiers. Or write to Mallory Distributor Products Company, a division of P. R. Mallory & Co. Inc., Indianapolis. Indiana 46206.